Silly friend! It’s very simple really. If you know the facts, you’ll know that there’s no hypocrisy. Marijuana is totally different from cigarettes. Here goes . . . . Marijuana makes the smoker feel good. Cigarettes, by contrast, make the smoker feel . . . uh, good. Cigarettes release a foul stench when smoked. Marijuana, by contrast, releases . . . uh, a foul stench when smoked. 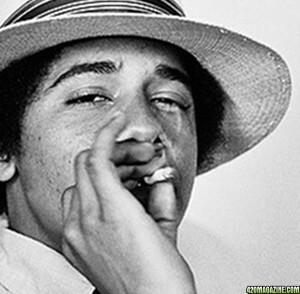 Our totally cool president smoked reefers. By contrast, our totally cool president never . . . oh, wait. Never mind. He also smoked cigarettes. Second hand marijuana smoke merely makes your clothes smell. By contrast, second hand cigarette smoke . . . uh, merely makes your clothes smell. Cigarette smoke causes all sorts of lung problems and cancers. By contrast, marijuana has no known health . . . oh, forget that. Actually, although studies have been limited, it turns out that marijuana has a lot of negative health effects, especially in young people’s developing brains. Although cigarette smoking gives people a pleasant buzz, it doesn’t impair their cognitive functions. When it comes to marijuana, the whole purpose is to impair cognitive functions. (Just think about whether you’d rather get in a car driven by a smoker or a stoner.) When a political party is working hard to undermine a country’s social and economic strength, there’s nothing better than having on hand a true opiate of the masses, especially one that leaves the young generation sufficiently unambitious (which is arguably pot’s most deleterious effect) not to care about the fact that their future is vanishing before their eyes. The other reason is that cigarettes have been around long enough that their production is a corporate endeavor. Leftists hate corporations. The best way to kill the Leftist love affair with marijuana is for Big Tobacco to start producing it and take over the market. If I had my druthers, nobody would smoke anything. I hate the smell of the stuff — all of it, whether cigarettes or pot or cigars or car exhaust — especially when it infiltrates my clothes and my hair. When I lived in England, after a night out I’d always shower off from head to toe to get rid of the ubiquitous smoke smell, and that was true even in the depths of winter when we had no hot water at 3 a.m. I hate cold showers, but I hate the smell of smoke even more. That smoke spreads beyond the smokers person is a good reason for following the old-fashioned approach of having smokers’ cars in trains or in private clubs, but it’s absolutely no reason to demonize one kind of smoke while lavishing love on another.